The flag in the middle looks like Monaco at first glanse, but I think I can detect a little green spot at the top of the pole. 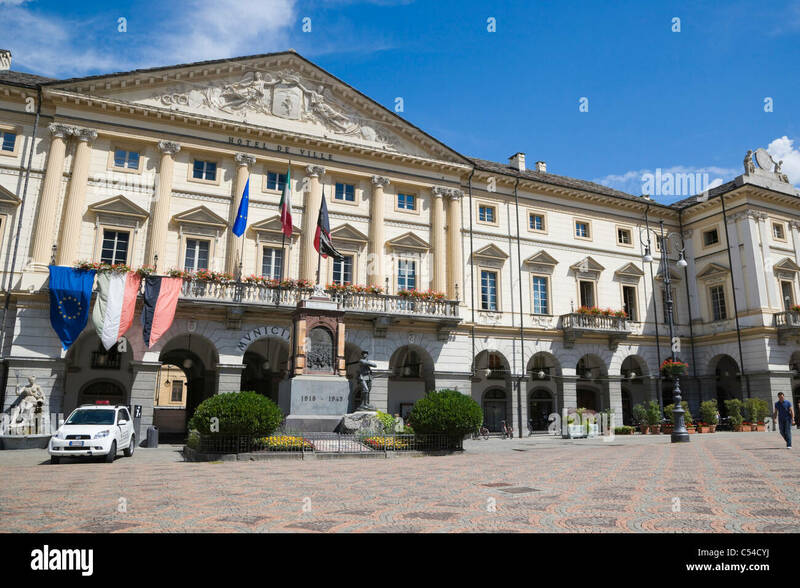 Is this the Hotel De Ville, Town Hall, Piazza Emile Chanoux, Aosta, Aosta Valley, Valle d'Aosta, Italy, Alps ?! 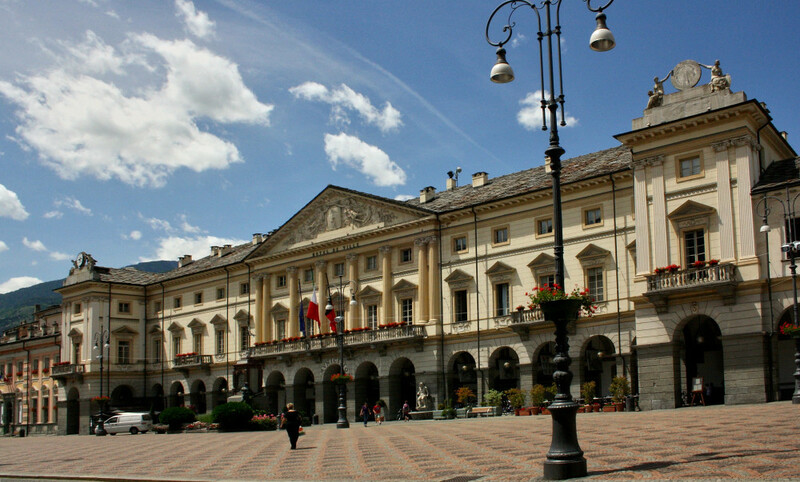 The Town Hall is called Hotel de Ville because Val d'Aoste is a French speaking Italian province. First question: is it a real or a virtual structure? Oh, this is real. The thread is named "What place is it? ", not "What place will it be?". But the picture is a bit mystic, i admit. A viaduct for barge/boat transfer across a valley or something?? I agree with Ivy - it does look like the Falkirk. I knew, it would be last for only a few tries. Yes, it is the upper entrance of the Falkirk wheel, well known to all houseboat lovers. I was checking new houseboat brushures recently. so i remembered this boat lifter... over to you, Ivy! Ralf! New motorhome, now a houseboat for you??? Where will the man stop????? I have been racking my brains about that boat lift because I'm sure that it has been mentioned somewhere on the forum but Search cannot find it, at least not with the search words I put in. And I seem to remember either Steve or Polo-boy saying something about it at the time. But maybe it is my imagination running riot? I do remember seeing it on TV ages ago, though. My thinking cap is now on for something to keep you all quiet for a while. But don't wast time on that before you post a new puzzle. Don't worry, i was just collecting broshures for a friend. But that does not hinder me to dream of future vacations. An own houseboat will most likely never happen. As seldom as there is an opportunity to use it, it will be always better to rent. So a dream is indeed to discover some British waterways in a narrow boat. Photobucket is having a bad hair day. Will try again later. Thank goodness I only use it for these puzzle pics! Re Falkirk Wheel - yes we talked about it in July last year in the 'This is Scotland 2013' thread - at which point I think we decided that none of us had photos of it!! Thanks indeed, Mark, as Ombugge says. I would never have thought of that, so it's a good job someone has a photographic memory! Success with photobucket - I think...... So where do you think this was taken? Last edited by wherrygirl; January 22nd, 2016, 20:27. Te-he. 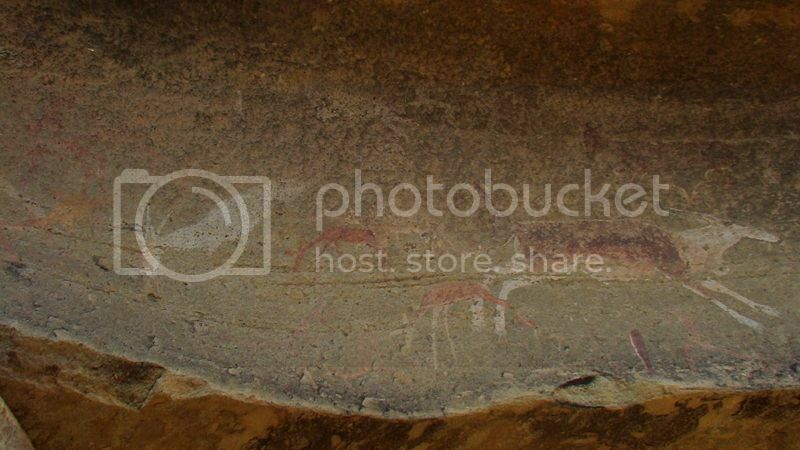 Photobucket is now displaying all 8 of my attempts to get this image uploaded. Who was it said "Try, try,........ etc. ?